Despite these controversies, president Zeman remains a highly popular figure in the Czech politics. The President as an individual person, as well as an institution remains the most trusted figure among top Czech politicians and constitutional bodies. Miloš Zeman as a political person is trusted by 48 per cent of the population, although 46 per cent respondents claim that they do not trust him. The data corroborates one peculiar and at the same time constant feature of the Czech president since his was elected to the office in 2013: his highly divisive political style that tends to polarize the Czech society. Zeman, as a constitutional body, was trusted by 53 per cent of respondents, which is more than other top constitutional bodies. Only local government, local mayors and presidents of regional councils score better as far as political institutions in the Czech Republic are concerned. Although the president enjoys considerable levels of popular support, Miloš Zeman faces a risk of impeachment. In January 2019, a group of senators have announced their intention to file a constitutional charge against Zeman for gross violation of the Constitution. Obviously, it is highly unlikely that the president will be impeached because of two major factors. First, the Czech constitution makes it procedurally extremely difficult to impeach president. The procedure was changed in 2012, together with the amendment that introduced the popular election of the president. The art. 65 of the constitution allows the Senate, with the consent of the Chamber of Deputies, to file a constitutional charge against the President for high treason, gross violation of the Constitution before the Constitutional Court. In order to approve the filing of the constitutional charge, the consent of a three-fifths majority of the votes of present senators is required. In addition, in order to approve of the charge, the Chamber of Deputies is required to pass it by a three-fifths majority of all deputies. Second, several political parties, notably the Communists (KSČM), the populist right-wing party called Freedom and Direct Democracy (SPD), but also Prime Minister’s own party ANO 2011 and the Social Democrats do not support the ideas. These parties enjoy a comfortable majority in the Chamber of Deputies, which makes the impeachment much more complicated and burdensome, as the Chamber may veto the process. It should be noted that the notion of impeachment is not a novelty in the Czech politics. There were several initiatives to impeach president Klaus and Zeman, but so far only in one case did the charges eventually reach the Constitutional Court. Other initiatives were shipwrecked in the Senate. For example, in 2004, Senator Zdeněk Bárta sought to impeach President Klaus for rejecting to propose a further candidate for judge in the Constitutional Court, thus putting the Constitutional Court in danger of soon becoming unable to pass decisions. In March 2013 the Senate filed a charge against the president Klaus for high treason. The charge included five delicts: (1) inactivity in the process of ratifying the Additional Protocol of the European Social Charter; (2) not accomplishing the ratification process of the Treaty Establishing the European Stability Mechanism; (3) the highly controversial amnesty issued in January 2013; (4) not proposing further candidates for judge in the Constitutional Court; and (5) not respecting a court’s decision to appoint a judge of a district court. However, the Constitutional Court did not decide, arguing that Klaus’s mandate was already over. In Zeman’s case various politicians, notably Senators, have considered Zeman’s impeachment for several years. So far, there were three major initiatives to impeach President Zeman. None of them reached the Constitutional Court. First, in 2015, the Senate was petitioned to trigger impeachment against Zeman for high treason. Petitioners claimed that Zeman’s views on EU’s sanctions against Russia for Russia’s annexation of Crimea and its involvement in the war in Ukraine indicated that Zeman “acted in the interest of Vladimir Putin’s regime rather than in the interest of the Czech Republic and its allies”. Second, in 2017, Zeman displayed his strong dislike to recall Mr. Babiš, the then Minister of Finance in Bohuslav Sobotka’s cabinet. Zeman’s reluctance to comply with the Prime Minister Sobotka’s request would certainly contradict the constitution (art. 74). However, after a strong pressure, Zeman eventually gave in and accept Babiš’s resignation. Finally and very recently (in January 2019) a group of senators accused Zeman of gross violation of the Constitution. Their charge is not ready yet, but it will likely include a number of accusations. This initiative was triggered by a scandal related to efforts of the president and his chancellor to interfere in the courts. The initiator of the charge, senator Václav Láska, claimed that this scandal was the last straw: “When you take only individual actions of Mr. President, you may come to the conclusion that on their own they are on the edge of Constitutionality…But when you describe 20 such actions together it gives you a ground for a statement that the President does that on purpose, that his intention is to violate the Constitution, that he does not respect the Constitution”. So, what were other problematic steps of the president that made senators prepare the constitutional charge against the president? Critics argue that Zeman is not defending the Czech national interests, nor his steps are in line with the Czech membership in the EU and NATO and its values, and that the president’s steps in foreign policy clearly contradict Czech foreign policy formulated by the government. Zeman is generally considered a Russian ally and the following cases support the above statement. Zeman also vociferously defended Russian position in the well-known affair of poisoning of Sergei and Yulia Skripal and tended to repeat Kremlin arguments. In 2016, a Russian citizen, Yevgeni Nikulin was detained by the Czech police. Nikulin was considered to be a Russian hacker who had attacked US social networks. Both USA and Russia intensively pressured the Czech Republic to extradite Nikulin. Zeman was lobbying for Nikulin’s extradition to Russia. However, the Czech Ministry of Justice eventually extradited Nikulin to the USA in 2018. Another scandal is related to Zeman’s fierce criticism of an annual report issued by the Czech Security Intelligence Service (BIS), which among others said that Russian and Chinese spies in the country were working out of their embassies in Prague. Not only that Zeman argued that the BIS failed to provide evidence of specific Russian or Chinese espionage activities, but also he accused the BIS of failing to uncover any Islamic “terrorists” in the Czech Republic. On the top of that, Zeman described the report as “gibberish” or “blather” and the intelligence officers as “bozos.” His clearly pro-Chinese and pro-Russian position was well displayed in at least three other affairs. In 2018 the National Cyber and Information Security Agency (NUKIB) issued a warning report arguing that Huawei’s products might be misused by China. This report is in line with the fact that growing number of companies, governments and academic institutions have called into question Huawei‘s close links to the Chinese state and its espionage activities. Thus, after an attack on the Czech Security Intelligence Service, Zeman attacked another Czech security institution and criticized the report. He accused NUKIB as well as BIS of having threatened Czech economic interests in China. As usual, his criticism was highly insulting, when he said that the security institutions issued their reports „either out of stupidity or for money“. Zeman argued that China was seeking economic retaliation measures. Prime Minister Andrej Babis and his government, as well as opposition politicians, rejected Zeman’s criticism. These affairs and conflicts, together with Zeman’s constant critique of media, delegitimizing the Czech Minister of Foreign Affairs, Tomáš Petříček, who is a clearly pro-Western, pro-European politician, clearly indicate symptoms of democratic erosion in the Czech Republic. In other words, a battle over liberal democratic principles in the Czech Republic started a couple of years ago (Zeman is not the only person to blame for this negative trend). It remains to be seen whether democratic erosion will be sponsored only by the Czech president and two anti-establishment political parties, the KSČM and SPD, or whether other political and constitutional actors become infected with illiberal policies and values. For details see Červenka, Jan. 2019. Public Opinion on Performance of Miloš Zeman – January 2019. Praha: CVVM. (Full text is available in Czech only). Červenka, Jan. 2019. Popularity of Top Politicians – January 2019. Praha: CVVM. (Full text is available in Czech only). Červenka, Jan. 2019. Confidence in constitutional institutions and satisfaction with the political situation. January 2019. Praha: CVVM. (Full text is available in Czech only). M. Brunclík and M. Kubát, Parliamentarism, Semi-Presidentialism and Presidents. Presidential Politics in Central Europe (London and New York: Routledge, 2019), 94-95. L. Kopeček, Václav Klaus. Politická biografie (Brno: Barrister & Principal, 2012). „The President of the Republic shall recall members of the government if the Prime Minister so proposes“. M. Brunclík and M. Kubát, Parliamentarism, Semi-Presidentialism and Presidents. 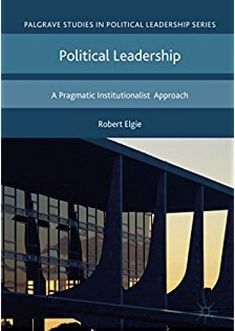 Presidential Politics in Central Europe (London and New York: Routledge, 2019), 82. M. Krejčí, „The Czech President searching for the Novichok in the Czech Republic“. European Values, Kremlin Watch Report, 2018. Full text. S. Levitsky and D. Ziblatt and, How Democracies Die (New York, Crown, 2018). This entry was posted in Czech Republic and tagged Czech Republic; president; prime minister on March 1, 2019 by Miloš Brunclík. There are two essential factors which facilitate understanding of the real power of Czech presidents and which make them relatively weak in relation to the government or parliament. First, none of them has managed to create a solid and strong party backing in the parliament. This holds true also for Miloš Zeman, who has repeatedly attempted (and failed) to form a presidential party. Thus, the October municipal and Senate elections and their results had no specific and direct consequences for President Zeman. Second, the Czech president is endowed with few significant powers. Probably the most important one is the power to appoint the Prime Minister and, on the basis of his proposal, other members of government. Hence, once the second cabinet led by Andrej Babiš had been appointed in July 2018, President Zeman had a much smaller influence on Czech governmental as well as parliamentary politics. Despite these stable features of the Czech democratic regime, Miloš Zeman has constantly been able to create a stir in the Czech politics, an ability attributed to him both by his supporters and critics. First, even though Babiš’ cabinet was appointed and won a vote of confidence in the Chamber of Deputies, the President kept influencing the cabinet’s composition, blocking Miroslav Poche, the Social Democratic (the junior coalition partner’s) nominee for the position of the Minister of Foreign Affairs. Poche was refused by Zeman, officially because of the former’s positive stance to EU migration quotas. However, there were rumors that other reasons might have played a role in the rejection. For example, Poche supported Zeman’s rival, Jiří Drahoš, in the 2018 presidential contest. In addition, Zeman’s move was a tool to humiliate and weaken the Social Democratic party. Be it as it may, Prime Minister Babiš did not insist on Poche, as he did not want to risk a conflict with President Zeman. As a result, the Social Democrats tacitly gave in and nominated another person – Tomáš Petříček. This was a surprising choice, because Petříček was Poche’s assistant without much political experience. Thus, only after three months, Czech political elites managed to provide a full-time leader for the Ministry of Foreign Affairs. Until that time, the ČSSD’s leader, and minister of the interior, Jan Hamáček had been in temporary charge. Second, seeking his own foreign policy, to a large extent independently of the cabinet, President Zeman has made many other politicians uneasy. Zeman kept emphasizing an orientation to the East, notably to Russia and China, promoting “economic diplomacy” over human rights issues (the one-time the flagship of Czech foreign policy). This policy is to a certain extent consistent with Zeman’s predecessor, Václav Klaus, but is in stark contrast to Václav Havel, who is widely remembered as a vociferous advocate of human rights anywhere on the globe. Despite the fact that occasionally presidents and governments clashed over foreign policy issues, the major pillars of the Czech foreign policy of the 1990s were clear and major political representatives were consistent in supporting them: pro-Western, pro-EU orientation as well as promoting human rights issues. However, these pillars of the Czech foreign policy have been undermined by practical steps taken by both branches of the Czech executive over the last decade or so. Miloš Zeman is one of the most influential proponents of Russian interests in Europe, for example, advocating Russia’s position towards the affair of poisoning of Sergei and Yulia Skripal, calling for lifting anti-Russia sanctions, supporting the Russian state corporation, Rosatom, and its effort to win a tender to enlarge the Czech nuclear power plants. Whereas Zeman has rarely been accepted by Western political leaders, he has repeatedly visited Russia. Zeman has also been to China four times, meeting top Chinese leaders, supporting their idea of reviving the Silk Road. It seems that this clear Eastern orientation, legitimizing authoritarian regimes in Russia, China and elsewhere, is not sufficiently balanced by other Czech foreign policy makers, some of whom take a similar position, whereas others are pragmatic and lack any orientation in foreign policy issues (such as Andrej Babiš). All in all, Czech foreign policy has been incomprehensible, especially vis-á-vis the EU. Thus, the person of the Minister of Foreign Affairs proves to be of key importance for the future of Czech foreign policy and its major goals, notably in the era of great debates on the future of the EU following Brexit. In general, the appointment of Tomáš Petříček as the Minister of Foreign Affairs was a clear disappointment for many observers, because Petříček is an inexperienced minister whose views on foreign policy had not been known in public before he became the Minister. Petříček’s efforts to take the initiative as the Minister of Foreign Affairs and set the agenda will probably be very difficult given his lack of experience, lack of political authority, lack of authority of his own party (which is also divided on key foreign policy issues) and also with regard to the assertive position of Miloš Zeman and Andrej Babiš, the two dominant figures in Czech politics and who are likely to outshine Petříček in Czech foreign policy. Third, the Czech Republic celebrated the 100th anniversary of the Czechoslovak state, which was established in 1918. The celebrations and various public events commemorating the ups and downs of the Czechoslovak and Czech state peaked with the traditional state decorations ceremony at Prague Castle. This was a special moment to award distinguished citizens, historical figures (honored in memoriam), artists, sportsmen and like. The ceremony was tainted by a bitter dispute between president Zeman and his opponents. This dispute dates back to origins of Zeman’s presidency when he came into conflict with various people, notably with academics and presidents of several Czech universities who were not invited to the state decorations ceremony. In addition, a few leading political figures were not invited either, whereas others rejected to attend the ceremony in protest against – what they labeled as – a private Zeman party. The dispute was also accompanied by a critique of persons who were decorated. Besides uncontroversial personalities (such as anti-Nazi fighters or Olympic gold medalists), critics reproached President Zeman for decorating his close friends, people who collaborated with the Communist secret police, or controversial businesspeople. It is highly unlikely that Miloš Zeman will cease to be a provocative and controversial politician, constantly attracting media attention and giving cause to anger. On the other hand, the Czech presidents are generally trusted political figures. Even Miloš Zeman, who has always been a polarizing figure in Czech society, enjoys support/trust of about half of the Czech population, much more than the government or parliamentary chambers (but less than mayors or local governments). More than four years remain until the end of his second presidential mandate. Only health problems, which the media often speculate about, may become an effective stop to his political style. For details see Brunclík, Miloš, and Michal Kubát. 2018. Semi-presidentialism, Parliamentarism and Presidents: Presidential Politics in Central Europe. London and New York: Routledge. Several Zeman’s rivals from the 2018 presidential contest were elected senators, such as Jiří Drahoš, Pavel Fischer or Marek Hilšer. Zeman was once the party’s chairman and even prime minister between 1998 and 2002. However, since a significant portion of social democratic MPs did not support Zeman in the 2003 presidential elections, Zeman’s relationship to his party changed for the worse and this event has plagued their relationship since then. Červenka, Jan. 2018. Confidence in constitutional institutions and satisfaction with the political situation. October 2018. Praha: CVVM. (Full text is available in Czech only). This entry was posted in Czech Republic, Europe and tagged Czech Republic, presidential election on November 12, 2018 by Miloš Brunclík. On 12th July 2018 the lengthy government formation process that had been taking place since the 2017 parliamentary elections finally came to an end. The second cabinet led by Andrej Babiš won a vote of confidence in the Chamber of Deputies. the role of President Miloš Zeman, who consistently supported Babiš as the new prime minister and who allowed no room for an alternative cabinet excluding Andrej Babiš. The right-wing and liberal parliamentary parties ruled out the possibility of joining ANO 2011 in a new coalition, although Babiš called on the Civic Democratic Party (ODS) to establish a two-party majority coalition. At the same time, however, Babiš did not want to seek support from the KSČM and SPD, two strongly Eurosceptical parties, undermining the hitherto Czech consensus on its clear pro-Western orientation. Thus, at first, Babiš attempted to form a minority ANO 2011 cabinet that was appointed by Miloš Zeman in December 2017. Not surprisingly, this cabinet failed to receive a vote of confidence in the Chamber of Deputies. The ČSSD was badly divided on the issue of whether to join the cabinet with ANO 2011. The February party congress gave no definitive answer to this question, although party leaders were inclined to support the government option, and the party decided to hold an intra-party referendum. Even before the referendum result was announced, the ČSSD had embarked on negotiations with ANO 2011. President Zeman, who still has considerable influence over the ČSSD, encouraged the party to join Babiš’ cabinet. The referendum result gave the party a green light to carry on the negotiations with ANO 2011. However, the first round of talks ended in failure in April, as ANO 2011 proved unwilling to allow the ČSSD to take the seat of the Ministry of Interior, an important position controlling the police and indirectly affecting the investigation of Mr. Babiš and his alleged EU subsidy fraud. The ČSSD leaders, the party chairman Jan Hamáček and his deputy Jiří Zimola, visited President Zeman, who – according to some journalists – advised the ČSSD to insist on their requirements (including the position of the Minister of Interior). Zeman was strongly interested in the success of the government formation with Mr. Babiš as Prime Minister, given the fact that he had consistently supported this option since the 2017 elections. The negotiations between the ANO 2011 and ČSSD resumed and both parties agreed on a minority coalition cabinet that was appointed by President Zeman in June 2018. In addition, Andrej Babiš negotiated an external support for the coalition provided by the KSČM. The reputation of the newly appointed cabinet was tainted by the resignation of two ministers when the media found out that their university master’s theses were plagiarized. However, the most significant event was Zeman’s refusal to appoint a ČSSD nominee for the Minister of Foreign Affairs, Miroslav Poche. Zeman argued that Poche, currently an MEP, held a pro-immigration policy, which was unacceptable for Zeman, Babiš, and majority of the Czech population. Commentators speculated that this publicly announced reason was a mere pretext for the real cause of the refusal: President Zeman was resolved to demonstrate his power over the ČSSD and his influence over the cabinet as a whole. Babiš, having no interest in complicating the government formation whatsoever, did not insist on Poche and accepted Zeman’s position. There has been a political as well as academic debate as to whether the Czech president has the right to refuse the Prime Minister’s nominee for a minister. There is a consensus that the president has no such right, but given the fact that Prime Minister did not push for Poche and did not wish to submit a complaint to the Constitutional Court, there is no way to force Zeman to appoint Mr. Poche. Instead, both President Zeman and the Prime Minister Babiš expect another nominee from the ČSSD camp. Although this move was an act of political humiliation for the ČSSD, its leaders have so far been unable to suggest a solution and the ČSSD’s chairman Jan Hamáček temporarily took the position of the Minister of Foreign Affairs alongside the position of the Minister of Interior. The ČSSD announced it would solve the problem only after the October municipal elections. As stated above, the second Babiš cabinet won the vote of confidence in the Chamber of Deputies in July 2018, so the Czech Republic finally has a fully-fledged cabinet after some 10 months. In terms of President Zeman’s power over the government formation process, he undoubtedly played an important role. Whereas in the case of the first (unsuccessful) Babiš cabinet, Zeman’s role can be assessed as a notary, perhaps even regulator (given Zeman’s clear preferences and active support for Mr. Babiš), his role increased with the second Babiš cabinet and he can be classified as “co-designer”, because Zeman openly, consistently and strongly insisted that Babiš would be the new prime minister, blocking any alternative cabinets. In addition, he rejected the appointment of Mr. Poche. Also, the Minister of Agriculture, Miroslav Toman (although formally a ČSSD member), was clearly Zeman’s man demonstrating the president’s influence over the cabinet. Against the background of the government formation process, one should not overlook less noticeable, yet highly important, trends in the Czech politics. First, the Communists gained a direct influence over the government for the first time after 1989. (Mr. Babiš was also a Communist Party member as well as a registered co-worker of the Czechoslovak Secret Police before 1989). The KSČM remains outside the government, but provided its support for the cabinet in the July vote of confidence in the Chamber of Deputies in exchange for a couple of policy requirements including passing a law on referendums, an increase in the minimal wage or the taxation of Church restitution. (The law on Church restitution was approved in 2012 in order to compensate for the nationalization of Church property after the 1948 Communist coup d’état in Czechoslovakia). In sum, KSČM’s direct influence on the cabinet has a great symbolic importance putting to an end one of the major constants of the post-1989 politics. Second, whereas in the post-1989 era a strong pro-Western consensus, including the EU as well as NATO membership, prevailed both in the Czech society and political elites as the only reasonable and legitimate foreign policy, this consensus is currently being undermined, especially by the KSČM, the SPD and also by Miloš Zeman, who is well-known for his openly pro-Russian and pro-Chinese policy. Andrej Babiš, is, however, a pragmatic politician advocating a firm Czech membership in the EU, yet also pursuing a strict anti-immigration policy. Third, clear illiberal tendencies (both in terms of rhetoric and actions) have appeared in the Czech Republic, thus resembling other countries in the region (Poland, Slovakia, Hungary). Notably, President Zeman can be blamed for this negative trend: Zeman is known for flattering the authoritarian regime in Russia and China, attacking the independent and quality media, attending the KSČM’s party congress, and sympathizing with xenophobic forces in the Czech Republic. To be sure, other actors responsible for the illiberal tendencies can be mentioned, two parliamentary parties, KSČM and SPD, and the Prime Minister Mr. Babi, who has tried to remove some checks and balances, e.g. by proposing the abolition of the upper parliamentary Chamber and who is the de facto owner of a huge business and media empire. The Czech Republic is currently awaiting October municipal and Senate elections. The municipal elections in large cities, as well as the Senate elections, are considered to be a test of public support for the major parliamentary parties (which are almost non-existent in most of smaller municipalities) and in turn for (il) liberal democracy in the country. This entry was posted in Czech Republic, Europe and tagged Czech Republic, Government, president on September 11, 2018 by Miloš Brunclík. In this paper, we use our classification system to assess the influence that the presidents of the Czech Republic have so far exerted over fourteen cases of government formation process since 1993. Let us briefly recall the classification which is presented below. It consists of five major patterns – from “observer” as the weakest head of state, to “creator” as the only government-maker. Unlike numerous indices of formal presidential power, the classification reflects the real constitutional practice of government formation and takes account of various informal factors (e.g. the president’s relationship with parliamentary parties; the presence/absence of legitimacy; the fragmentation of party system) that may strengthen or weaken president in the government formation process (GFP). Before focusing on the Czech presidents, Václav Havel, Václav Klaus and Miloš Zeman, it is necessary to briefly describe the constitutional framework that regulates the government formation process in the Czech Republic. The Czech constitution (Art. 68) gives the president a comparatively large discretion in the GFP, when it says only that “The President of the Republic shall appoint the Prime Minister and, on the basis of the Prime Minister’s proposal, the other members of the government and entrust them with the management of the ministries or other offices.” The president is not obliged to appoint the leader of the largest parliamentary party, nor does the constitution specify any time period within which the president has to appoint a new prime minister. This large discretion may explain the protracted government formation, which started shortly after the 2017 parliamentary elections and which has not been accomplished yet[i]. The newly appointed cabinet is obliged to win the motion of confidence in the Chamber of Deputies (art. 68). If the government fails to win the Chamber’s confidence (which requires an absolute majority of votes from the deputies present), the initiative passes back to the president and the constitution prescribes that the whole procedure is repeated. If this second appointed government should fail in the Chamber, the right to choose the prime minister is passed to the Chamber’s speaker. Should the speaker also fail, the president has to dissolve the Chamber. In this post we summarise only the major findings of our article, which analyzes in detail individual cases of the government formation process[ii]. The actual practice of the GFP shows a great variation in the role of Czech presidents: it varies from notary to creator (see table 2 below). There were thirteen government formation processes in total. We identified eight notary presidents (Havel in 1998/2 and 2002, Klaus in 2006, 2007 and 2009, Zeman in 2014, 2017 and 2018), four regulators (Havel in 1996, Klaus in 2004, 2005 and 2010), one co-designer (Havel in 1998/1) and one creator (Zeman in 2013). We argue that the variance results from two major factors. Firstly, the timing of the GFP is important. When the GFP directly followed parliamentary elections, presidents were mostly much weaker. This finding applies also to two situations (2006-2007 and 2017-2018) in which the first attempt to appoint a new cabinet failed, i.e. the cabinet failed to receive a vote of confidence in the Chamber of Deputies, given a complicated situation there. However, using their power to appoint yet another cabinet, presidents Klaus and Zeman chose the same person as prime minister, because there was no viable alternative cabinet sponsored either by parliamentary parties, or by president. Out of six such cases (the GFP following the parliamentary elections), there were five notary presidents (1998, 2002, 2006, 2013-2014 and 2017) and in two cases there were regulators (1996 and 2010). In contrast, when the GFP followed a government break-up during the electoral term of the Chamber of Deputies, presidents were significantly stronger. Out of six such cases, there were two notary presidents (2007 and 2009), two regulators (2004 and 2005), one co-designer (1998) and one creator (2013). In contrast, the presidents were particularly strong in times of major political scandals, when parties’ legitimacy suffered heavily and the president could take advantage of it. The most notable examples are Havel in 1998/1 and Zeman in 2013. The last case is particularly important, since it was the first GFP affected by the newly popularly elected president, who made an overt attempt at becoming a ruling president through the installation of a technocratic cabinet without any agreement whatsoever with parliamentary parties. This is a clear example of the president capitalising on his popular election, which was introduced in 2012 and which gave the president a legitimacy advantage. Indeed, Zeman explicitly referred to the fact that he had recently been elected by the majority of Czech voters. Moreover, the technocratic cabinet was closely tied to Zeman’s own party, which, although it lacked parliamentary representation, hoped the ministers would help it get media attention and public support in the 2013 parliamentary elections. This was, however, unsuccessful. The step taken by Zeman was a radical breakthrough in the parliamentary regime and a major shift in the president’s role towards that of creator (e.g. government-maker). In so doing, he destroyed a key constitutional convention linked to the parliamentary basis of the political regime. Comparing the behavior of Zeman with that of his predecessors Havel and Klaus, there is an obvious, substantial, qualitative difference. Zeman’s predecessors always appointed a government cabinet that resulted from a deal with parliamentary parties (only the Tošovský cabinet in 1998 partly broke from the rule). Thus, with the exception of the Rusnok cabinet (and to a certain extent the Tošovský cabinet too), parties by and large have managed to assert their will against that of the president. This has been substantially facilitated by the fact that no president has managed to create a solid and strong party backing in parliament. As a result, a political proximity between the parliamentary parties and the president plays only a marginal role in the GFP, since the presidents’ relationship to parties was ambiguous and sometimes full of paradoxes. [iv] This has been influenced by the public’s desire for non-partisan or so-called “above-partisan” presidents, who are to a large extent independent of political parties. This is true even though all three presidents were close to some parties or factions. Václav Havel was never a partisan, but he had a number of political allies, particularly in the small parties (the Christian Democrats, Freedom Union etc. ), but he never attempted to create his own party. In contrast, Václav Klaus and Miloš Zeman had been partisan prime ministers and leaders of the then largest parties, but they resigned from their party and their relationship with their original parties became rather cold. Of the three Czech presidents, Václav Klaus enjoyed the strongest party backing, but only in the early days of his presidency. Still, the steps he took when governments led by the Social Democrats found themselves in crisis do not testify to Klaus acting as an ODS politician, although he later displayed moderate preferences for some ODS-led cabinets. Evidently, Havel and Klaus were careful in building their ties with parties because their presidential mandates originated in parliament. This was not the case with Zeman, who has sought to create his own party backing much more purposefully. Nonetheless, his party (Citizens’ Right Party – Zeman’s Followers) failed in the 2013 elections and the pro-president faction within the Social Democrats likewise lost their standing. Common to all three presidents has been their ignoring of certain parties or at least creating obstacles to their participation in government negotiations or formation. This was very conspicuous with Havel, who repeatedly excluded the Communists from coalition bargaining, and also the far-right Republicans, when they held parliamentary representation[v]. Despite formally respecting the Communists, Klaus effectively took the same position, and in fact went further by wanting signatures of “non-communist MPs” on a document pledging support for a government. This approach created the foundation for the role of the president-regulator. In reality, however, presidents have not always been successful. The variance of the roles presidents have played in the GFP results mainly from the timing of parliamentary (and sometimes also presidential) elections and from the solidity of parliamentary parties and their ability to act independently of the head of state. In contrast, the political proximity between president and the parliamentary parties does not appear to be key to understanding the level of influence presidents exert over the GFP. As far as the Czech constitution is concerned, its importance lies in the fact that it offers the president a substantial and not entirely clearly defined space in the government formation process. In availing themselves of this space, all three presidents have very often refused to play the role of a notary who merely confirmed the results of negotiations between parties or provided a decorative façade for the process. Havel, Klaus and Zeman sought to play very active roles and, circumstances permitting, push through their own political ideas and attitudes. As for the effect of the popular election, it is beyond doubt that it potentially boosts overall presidential power[vii] and in particular it gives the president additional leverage in the GFP, but only if he enjoys the advantage of legitimacy over parliament. But what is more important, the president has not been able to push political parties into the background and push through his own government. The president’s installation of the 2013 Rusnok technocratic cabinet was only a temporary solution; party leaders once again managed to secure the main say for themselves, and the president was forced into the role of head of state in a parliamentary regime. The increased activism of the popularly elected head of state hit the barriers erected by parties – barriers that the president, lacking his own party backing in parliament, has been unable to overcome. [i] The Babiš cabinet appointed in January 2017 failed to receive the obligatory vote of confidence in the lower parliamentary chamber and the GFP had to start from scratch. Andrej Babiš was in early June 2018 appointed Prime Minister again, but his cabinet (Babiš II) has not been formed yet, as parties still negotiate with president on filling individual ministerial posts. Also, the junior coalition party – the Social Democrats – are awaiting results of their inter-party referendum that is supposed to confirm or reject party’s engagement in the Babiš cabinet. [ii] In comparison to the original article, this post takes account of the more recent case of the GFP: Babiš I (Babiš II is being formed in June 2018 and is not therefore included in this post. [iii] In at least two other cases parties left no room for the president to take initiative (Klaus in 2009 and Zeman in 2014). [iv] M. Brunclík and M.Kubát, Semi-presidentialism, Parliamentarism and Presidents. Presidential Politics in Central Europe (London and New York: Routledge, 2019 forth. ), p. 110 af. [v] In contrast, president Zeman was clearly in favour of incorporating the communists as well as the radical-right wing populists (the Freedom and Direct Democracy) in a ruling cabinet. [vi] “Similarity of rules, diversity of games” by M. Duverger, “A new political system model: semi‐presidential government.” European Journal of Political Research 8(1980). [vii] A. Lijphart, Patterns of Democracy. Government Forms and Performance in Thirty-Six Countries (New Haven: YUP, 1999). This entry was posted in Czech Republic and tagged Czech Republic, government formation on June 7, 2018 by Miloš Brunclík. Although the 2017 parliamentary elections took place some six month ago, the Czech Republic still lacks a fully fledged cabinet. The country is currently run by a partisan caretaker cabinet led by Andrej Babiš, the leader of the largest parliamentary party, ANO (“ANO” means “yes” in Czech). His cabinet, which was appointed in December 2017, failed to receive a vote of confidence in the January 2018 parliamentary vote. In line with the Constitution, President Zeman authorized Babiš’ cabinet to carry out governmental functions until a new cabinet is appointed. At the same time, he gave Mr. Babiš a long time horizon (until the end of June) to form a new cabinet which would enjoy parliamentary confidence. Given the strong presidential powers in the government formation process, President Zeman (along with Andrej Babiš) became a central figure of this process. As far as the government formation negotiations are concerned, there is a paradox. ANO is a pragmatic centre-oriented populist movement that lacks a clear ideological profile. Instead, it is characterized by bowing both to the right and to the left and flexibly changing its policies. This flexibility gives ANO a great coalition potential. Indeed, ANO has been able to negotiate with almost all parliamentary parties. That said, ANO has failed to win support for its minority cabinet or generate a majority coalition cabinet. This puzzle can be explained by the very fact that Mr. Babiš, the leader and also the de facto owner of the ANO movement (ANO is a prime example of a business-firm party), faces a number challenges, including a police investigation of his business, his past co-operation with the former Communist secret police, and allegations of instructing political journalists of the media he owns. In addition, Andrej Babiš finds himself with a considerable clash of interests, because he is the owner of the Agrofert group, one of the largest business conglomerates in the country, owing various agricultural, food processing, and chemical companies. Agrofert is also the largest beneficiary of various state subsidies. Most parties are willing to co-operate with ANO, if Mr. Babiš stays outside the future cabinet. However, ANO insists that Mr. Babiš is its only candidate for the role of prime minister, which is understandable given the fact that ANO comes close to the ideal of one-man party. Andrej Babiš can also rely on almost unconditional support from President Miloš Zeman. This pragmatic alliance between Miloš Zeman and Andrej Babiš (including their political styles, policies and rhetoric) brought thousands of people onto the streets of many cities across the Czech Republic in spring 2018. The protesters showed their anger with both figures and also with the rising importance of the Communist Party of Bohemia and Moravia (KSČM), the legal and ideological successor of the former Communist Party of Czechoslovakia. The party has recently increased its influence upon the executive, because it is likely to support Babiš’s future cabinet. The party has not been in government since the 1989 Velvet revolution and no cabinet has so far been reliant on the votes of the Communists. This stable feature of the Czech politics seems to be coming to an end. In symbolic terms, this shift can be illustrated by the fact that Miloš Zeman attended the KSČM party congress in April 2018, whereas his two predecessors in the presidential office, Václav Havel and Václav Klaus, never did so. The most probable shape of the future cabinet appears to be a minority coalition by ANO and the Czech Social Democratic Party (ČSSD), supported by KSČM, which is the option that was also supported by Miloš Zeman. ČSSD is heavily influenced by Miloš Zeman, who was the social democratic PM between 1998 and 2002 and who encouraged the party to join an ANO-led coalition. The party is still badly divided on the issue of joining the coalition with ANO. However, in spring 2018 the party’s congress elected its new chairman and vice-chairmen, who are supportive of co-operation with Mr. Babiš on condition that ČSSD would get four seats in the cabinet plus the Ministry of Interior to keep an eye on “neutral” police investigation related to Babiš’ alleged fraud of a two million euro EU subsidy. ČSSD also insists that if a government member (in fact M. Babiš) is convicted of a crime by a court, he will be obliged to resign from the cabinet. Mr. Babiš eventually accepted the former condition, but he strongly rejects the latter. Andrej Babiš has also considered a minority ANO cabinet supported not only by KSČM, but also by a radical-right wing populist movement “Freedom and Direct Democracy” (SPD) led by a political entrepreneur Tomio Okamura, whose party has called for a “Czexit” (i.e. Czech Republic’s withdrawal from the EU), has pushed for a Czexit referendum, and has a strong anti-immigration rhetoric, which has made its critics call the movement “fascist”. However, the idea of the ANO-led cabinet supported by SPD and KSČM was eventually rejected by ANO’s leading figures. When it comes to the most important events of the second Zeman’s term, one can identify a consistent pattern. He keeps polarizing the Czech society. In his inaugural speech, he harshly attacked Czech quality media, including the Czech television, which is generally considered one of the most reliable sources of information in the Czech Republic and which is modelled on the BBC. Furthermore, Miloš Zeman has kept supporting Russia and Vladimir Putin. This peaked at his speech in the Council of Europe towards the end of his first mandate in October 2017. At that time he said that the annexation of Crimea was a fait accompli and that European countries should look for alternative solutions to the crisis, such as Ukraine getting financial compensation for Crimea from Russia, or free deliveries of crude oil or natural gas. Such a position clearly diverges from the government’s position and displeased Ukraine. In March 2018 the Novichok nerve agent was used to try to kill former GRU officer Sergei Skripal and his daughter Yulia in the UK. British representatives have accused Russia of this act. Russia denied the allegations and argued that the nerve agent could have been produced in the Czech Republic. Although Prime Minister Babiš dismissed the Russian claim, Miloš Zeman asked the Czech counter-intelligence service to look for the Novichok agent. This led to a couple of Czech parliamentary parties to accuse Zeman of high-treason and of serving the interests of Russia against the interest of the Czech Republic. In relation to the Novichok scandal, a large number of (not only) European countries, including the Czech Republic, expelled Russian diplomats, but Miloš Zeman did not support this move. Another controversy over Zeman’s foreign policy was also related to Russia. In spring 2018 Zeman lobbied the Minister of Justice for the extradition of Yevgeniy Nikulin to Russia, who had filed for his extradition on the grounds of a petty online theft. The suspected Russian hacker was, however, extradited to the United States, where he was charged with hacking American firms such as LinkedIn and Dropbox. The media speculated that Nikulin might have some details on Russia-sponsored cyber-attacks on the USA. As a reaction, Zeman’s chancellor to the president, Vratislav Mynář, called the minister‘s decision “unlawful”. President Zeman also supports Chinese political and economic interests in the Czech Republic. Many observers were taken aback by Zeman’s decision to make Ye Jianming, Chairman and Executive Director of CEFC China Energy Company Limited (a giant Chinese finance conglomerate with alleged links to Chinese secrete services), his official economic advisor in 2015. Although Zeman highly appreciated Chinese investments in the Czech Republic, they remain only marginally important for the Czech economy. Moreover, Ye Jianming was detained by the Chinese authorities. Ye’s detention in China was probably ordered directly by the Chinese president Xi Jinping. In the past, several CEFC’s representatives were accused of bribery and CEFC was criticized for risky investment projects. Although these events have clearly cast doubt on Miloš Zeman’s foreign policy, he remains highly popular as some 50% of population trust the President. As for his use of presidential powers in the last six months, Miloš Zeman has respected the dominant position of the caretaker government and has not pushed the limits of his competences. There has been almost no conflict between the president and the government. President Zeman still retains the control over the government formation process. It remains to be seen whether Mr. Babiš will be successful in creating a new cabinet. Even if he fails for the second time (i.e. the Chamber of Deputies will not pass a motion of confidence in his cabinet), the power to appoint a new prime minister passes from the president to the Speaker of the Chamber of Depuites, Radek Vondráček, an ANO member. This entry was posted in Czech Republic, Europe and tagged Czech Republic, government formation on April 26, 2018 by Miloš Brunclík. Miloš Zeman, the incumbent president of the Czech Republic, has been re-elected. His success is likely to usher in yet another divisive presidency. To date, Zeman’s time in office has been characterized by his provocative style, his contempt for most of the media, an unpredictability in domestic politics, his clearly pro-Russian and pro-Chinese foreign policy and, consequently, a lack of respect from many EU member states’ representatives. Despite a number of controversial steps and speeches both in domestic and foreign policy, President Zeman entered the presidential contest as the favourite. In total, eight male candidates challenged the incumbent. Most of them lacked both party membership and political experience, which clearly points to the weakness and low self-confidence of Czech political parties. Indeed, no parliamentary party put up a candidate in the presidential race. The Czech president is popularly elected for a five-year term. The first election was in 2013. In order to be elected, a candidate must receive more than 50 per cent of the votes cast at the first ballot. If none of the candidates meets this requirement, a second round is held. The two candidates who received the highest number of the votes in the first round are eligible for the second round. In line with pre-election surveys, President Zeman topped the poll in the first round, followed by Jiří Drahoš. Mr. Drahoš is the former chairman of the Czech Academy of Sciences. He entered the contest as the complete opposite to Miloš Zeman. Drahoš lacked political experience, whereas Miloš Zeman often pointed to his long political career that dates back to the 1989 revolution that put an end to the Communist dictatorship. Zeman was the former chairman of the Czech Social Democratic Party, Speaker of the Chamber of Deputies and Prime Minister between 1998 and 2002. By contrast, Drahoš is a non-partisan, portraying himself as an honest and fair man without any scandals and controversies in his career. He was also strongly oriented towards the EU and NATO and was highly sceptical position towards Russia, which he described as a major security threat to the Czech Republic. Most of these policies were also shared by several other candidates, including Pavel Fischer, the former Czech ambassador to France and a close aide to the first Czech president Václav Havel. Long before the elections, President Zeman divided the Czech electorate. On the one hand, he had a significant pool of staunch supporters. Zeman is a skilful politician with excellent rhetoric (always speaking off-the-cuff), well-prepared arguments in debates and and instinct for the public mood and popular preferences. On the other hand, his foreign policy, vulgarisms, harsh attacks on some media and political parties as well as individual politicians gave rise to a heterogeneous group of fierce critics. Mr. Zeman won the first popularly-held elections in 2013. Then, he narrowly beat Mr. Schwarzenberg, a popular and charismatic Minister of foreign Affairs in a highly unpopular right-wing cabinet led by Petr Nečas. Following the 2013 elections, and in contrast to his predecessor President Klaus, President Zeman quickly reached a compromise with the Senate over the appointment of judges to the Constitutional Court, where the terms of a number of judges were soon to expire. President Zeman helped avert this unfortunate situation and together with the Senate appointed largely uncontroversial and respected personalities to the Constitutional Court. President Zeman informally, but significantly meddled in the internal affairs of the Czech Social Democratic Party, which has traditionally been divided between Zeman’s supporters and his critics at least since Zeman left the party in 2007. For example, his hostile relations with the Social Democratic Prime Minister, Bohuslav Sobotka (2013-2017), were often referred to by the foreign media. It is plausible to assert that Zeman earned his popularity by his almost permanent travelling across the country, visiting regions, speaking to regional and local political leaders, as well as to factory workers, pensioners, students and the like. This patient (and exhausting) strategy helped to create the largely positive image of himself as a popular president who pays attention to ordinary, lower-class or forgotten people in the Czech peripheries. This aspect of Zeman’s presidency together with his deteriorating health (e.g. diabetes, tiredness, limited ability to walk) may explain Zeman’s decision not to run an election campaign. In practice this meant that Zeman did not participate in any of the presidential debates prior the first round of the election. In addition, on most occasions he rejected any requests for media interviews. At the same time, he still enjoyed widespread media coverage. The President was heavily involved in the (still ongoing) government formation process following the October 2017 parliamentary elections and participated in a number of state ceremonies. Moreover, he regularly attended a show called a “Week with the President” broadcast by a private TV channel, which made no secret of the fact that President Zeman was its favoured candidate for the presidential contest. Friendly and uncontroversial questions allowed Zeman to present himself as a clever and responsible statesman. The very fact that President Zeman himself officially conducted no campaign did not prevent his followers and sponsors from making a very efficient, visible and costly outdoor and on-line campaign for President Zeman. The major disadvantage of Zeman’s challengers (with the exception of the former Czech Prime Minister, Mirek Topolánek) was simple, but serious: none of them was a widely known person and above all they needed to let the voters know who they were. Even before the second round, Mr. Drahoš was still a little known (or even unknown) candidate for a significant proportion of voters, which affected the election result. Only after the results of the first round were announced when Mr. Drahoš did very well, emboldening all the anti-Zeman camp to believe that the incumbent was not invincible, did President Zeman change strategy and agree to participate in two televised presidential debates. Mr. Drahoš tried to attack Zeman, drawing public attention to a series of failures and problems (including lack of transparency in the campaign fund-raising, questionable members of Zeman’s advisory team with close ties to Kremlin and Beijing). Despite Drahoš’ best efforts, observers agreed that President Zeman won the debates. In the end, Zeman narrowly won the contest (see table above), but the country remains divided. This is exemplified by the fact that the turnout in the second round reached almost 67%, which is the highest in any Czech nation-wide election over the past two decades. The division in the electorate dates back to the 2013 presidential elections and its existence was confirmed by the 2017 parliamentary elections. What is the difference between President Zeman’s followers and those of his opponents? President Zeman found most of his voters in smaller towns and villages in the Czech peripheries, whereas Mr. Drahoš won in Prague, the Central Bohemia region and in most of large cities. It also seems that older voters with lower education and income levels largely voted for Miloš Zeman. Zeman was also able to take advantage of anti-immigrant sentiments in the Czech population. Despite the fact that only a handful of migrants actually settled in the Czech Republic, migration issues and the EU migrant quotas were important themes of the campaign. It also seems correct to argue that Zeman represented nationalist voters, who are sceptical and even hostile to the EU and NATO (although Zeman was careful to advocate the Czech membership of both organizations), and voters with strong anti-party sentiments. To sum up, President Zeman was able to forge an unique informal electoral alliance of the far-left (the Communist Party of Bohemia and Moravia, which praised the former Communist dictatorship), the ruling populist ANO led by the Czech Prime Minister Andrej Babiš, radical right-wing populists (the anti-migrant movement “Freedom and Direct Democracy”, favouring a “Czexit), Eurosceptical right-wing voters, and a significant portion of the Czech Social Democratic Party’s voters. This heterogeneous alliance now holds a clear majority in the Chamber of Deputies. What can we expect from the incumbent? Mr. Zeman will probably keep pursuing his policies as well as his divisive political style. In his first speech following the election, he attacked Prague voters (in Prague President Zeman got only 31% of the vote). For the next few weeks and months, Zeman’s role in the government formation process will be key. In December 2017 Zeman appointed Andrej Babiš as the new prime minister. Babiš formed a one-party minority cabinet composed of ANO nominees. Yet, his cabinet failed to receive a vote of confidence in January 2018, mainly because Mr. Babiš is being prosecuted by the police. He has been formally charged with fraud in a case involving a two million euro EU subsidy. Yet, Mr. Zeman and Mr. Babiš have so far supported each other. The former openly sided with the latter in the 2018 presidential contest and Mr. Zeman promised to appoint Mr. Babiš Prime Minister again in February 2018. At the moment, Mr. Babiš leads a caretaker cabinet that resigned in January following the no-confidence vote. However, President Zeman authorized Babiš’ cabinet to execute its functions until a new cabinet is formed. The media are now speculating that the Social Democrats will change their leaders following their February party congress and abandon their reluctant approach towards the Babiš cabinet. As a result, Babiš might be able to make a coalition deal with the Social Democrats. The new Babiš coalition could be supported by the Communist Party in order to obtain a parliamentary majority in the Chamber of Deputies. This scenario is also supported by Miloš Zeman. Be it as it may, Zeman has won his last great political battle (the constitution forbids him to run for yet another term) and he will remain an influential player in Czech politics. This entry was posted in Czech Republic, Europe and tagged Czech Republic, elections, president on February 1, 2018 by Miloš Brunclík. This entry was posted in Czech Republic, Europe and tagged Bohuslav sobotka, Czech Republic, direct elections, Milos Zeman, presidential elections on July 6, 2017 by Philipp Köker.